Clear Night Group (CNG), which recently acquired several brand, marketing and technology firms in the Minneapolis area, will move them under one roof in the North Loop in the spring of 2017. Gabriel deGrood Bendt (GdB), GdB Pitch, Ackmann & Dickenson (A&D) and Modern Climate will reside in 25,000 square feet on three floors of the historic Maytag building, currently under renovation at 515 Washington Ave. N. in Minneapolis. In addition, the companies will share a renovated rooftop space. CNG is tapping into the Minneapolis office of Gensler, an integrated global design firm, to lead the charge in creating environments that reflect each unique brand and also foster collaboration between the companies. Gensler is recognized nationally as experts in developing workplace environments that impact employee performance and innovation. Kraus-Anderson was selected as the contractor for the project, which is expected to be completed by spring 2017. Saturday Properties and VoR Development, LLC, are the landlords for the Maytag building, which is also undergoing a historic transformation of its façade, along with internal renovations. While the renovations are taking place on the Maytag Building, GdB and GdB Pitch will temporarily locate in the Modern Climate building at 800 Hennepin Ave. in Minneapolis. A&D will remain at 701 North Third St. until the renovations are complete. In December 2014, CNG made its first acquisition, Minneapolis-based creative agency GdB. In 2015, CNG added a public relations division, McFarland Communications, which became GdB Pitch. In April, CNG acquired development and digital marketing firm A&D and most recently in June 2016 added brand and technology company Modern Climate. GdB is a Minneapolis-based marketing services agency, offering expertise in brand strategy and communications – including advertising, interactive, public relations and stuff not invented yet. The agency is a two-time winner of the American Association of Advertising Agencies' O'Toole Award. For more information on the agency, visit www.gdbagency.com. GdB Pitch, formerly McFarland Communications, joined GdB (Gabriel deGrood Bendt) in May 2015. 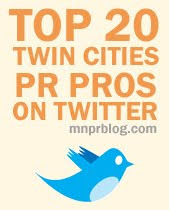 Named one of the Top 25 PR firms by the Minneapolis/St. Paul Business Journal in 2015, GdB Pitch has experience working with clients in many different industries, including education, consumer goods, fitness, fashion, politics, professional services, restaurants, retail and more. Visit GdBPitch.com to learn more. Ackmann & Dickenson (A&D) is an application development and digital marketing firm that delivers tailored technology solutions. A&D’s unique breed of digital craftsmanship brings organizations to the forefront of technology by providing expertise in mobile and web development, user experience design, and digital marketing. A&D operates from its headquarters in Minneapolis and offices in Phoenix. To learn more about A&D, please visit ackmanndickenson.com. Modern Climate, a brand + technology company founded in 2009, helps companies sharpen, strengthen and activate a brand’s promise. With an emphasis on technology and innovation, Modern Climate works with brands to ensure that the brand's promise is kept through valuable and authentic experiences for their customers. For more information, visit www.modernclimate.com. Clear Night Group (CNG), based in St. Paul, Minn., is a wholly owned subsidiary of Evening Post Industries (EPI), one of the most storied and well-respected communications and media organizations in the U.S. Founded in 2012, CNG oversees brand, marketing and technology companies to advance the business of clients of all sizes and industries, from regional to global. To learn more about CNG, please visit www.clearnightgroup.com.